On February 17, 2018, India and Iran signed multiple agreements including Tehran leasing to New Delhi operational control of part of the Iranian east coast port of Chabahar for a period of 18 months. The lease contract for Shahid Beheshti Port — Phase 1 of Chabahar — was signed between Port and Maritime Organization of Iran and India Ports Global Pvt. Limited (IPGPL). A 21-member delegation of ministers and businessmen from Iran had accompanied Iranian President Hassan Rouhani to his three-days trip to New Delhi. The Mumbai-headquartered IPGPL is a joint venture between Jawaharlal Nehru Port Trust (JNPT) and Kandla Port Trust (KPT), created and incorporated in January 2015 under the Indian Companies Act, 2013, as per the directions of the Ministry. It is tasked with developing ports overseas. In the year 2015, Indian Prime Minister Narendra Modi announced to invest $500m in a deal to develop a port in Iran, India’s first major overseas port venture, as it tries to offer alternatives to China’s One Belt, One Road initiative to build trade and transport links across Asia. Under this deal, IPGPL will equip and operate two terminals at Chabahar Shahid Beheshti Port for transportation of goods and other purposes. As per Article 6 of the contract, efforts are to be made to commence commercial operations at Chabahar Shahid Beheshti Port in Iran within 18 months from the contract activation date or 4 months from the date on which the Lessor hands over the Terminals and the infrastructure facilities to the Lessee in accordance with the terms of the Contract. India is trying to develop Chabahar as a way to gain access to the markets of central Asia as well as Afghanistan. The $85 million project is just 90 km from the China-sponsored Gwadar port in Pakistan, creates a transit route between India, Iran and Afghanistan, bypassing Pakistan. The Chabahar agreement gives India a direct access to hinterland of Iran's Sistan and Balochistan, Southern Khorasan, and Razavi Khorasan provinces in addition to Afghanistan, situated to the east of this corridor, and Central Asia to its north. These regions can provide vast consumer markets for goods produced in this zone and also use it to export products, minerals, and energy. Collectively, these markets cover a population of more than 100 million. Particularly, this Chabahar-based open trade route ensures that India maintains strong ties with Afghanistan, and is able to overcome Chinese hegemony in the region which has gained a big boost as a result of the upcoming China-Pakistan Economic Corridor. 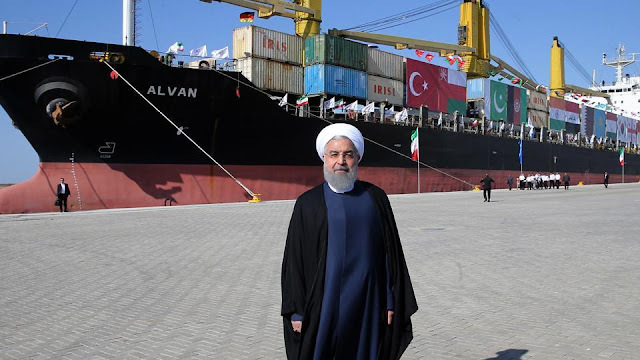 The first phase of the port was inaugurated by President Hassan Rouhani in December last year, a little over a month after the first consignment of wheat from India to Afghanistan was sent via this facility. India has routed a consignment of 1.1 million tonnes of wheat to Afghanistan through Chabahar Port. Along with this agreement, Iran has also allowed the Indian rupee to be legal forex tender, provides India a provision to overcome the banking limitations in Iran.The Indian investments in rupees will get converted into Iranian rial through banking mechanism allowing investments from India, including in the Chabahar Port complex. The move, however, will also require careful maneuvering of India's relations with countries in West Asia, most importantly Saudi Arabia and Israel, with whom India is eyeing closer ties, but have traditionally been anti-Iran. Also, India hosting Rouhani, and its commitment to push forward the Chabahar project will also test the country’s bilateral ties with the U.S., which, under the Donald Trump administration, has threatened to impose sanctions on Iran, eventually barring the country from dealing in U.S Dollars and Euros. Known as the gate to development of the east of Iran, Chabahar enjoys good conditions for investment. In addition, Iranian government have came up with special incentives for Chabahar Free Trade and Industrial Zone in order to encourage investment there, which can attract profitable ideas to that zone. These incentives include guarantees offered for investment based on the “Foreign Investment Promotion and Protection Act (FIPPA)” and the possibility of transferring abroad 100 percent of the principal capital and the profit emanating from the activities of all foreign entities. Meanwhile, Iran has expressed willingness to share its vast oil and natural gas resources with India and simplify visa norms to strengthen bilateral ties. 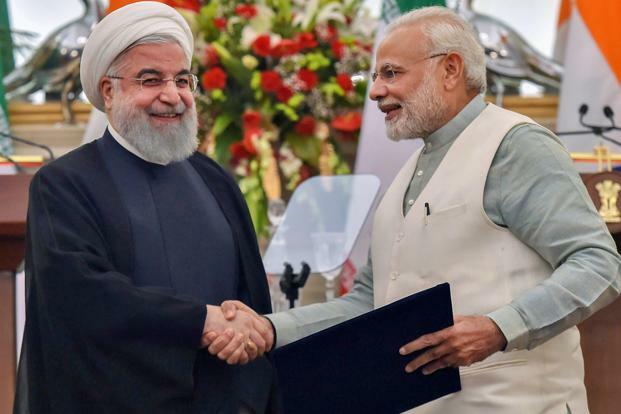 India has been a key purchaser of Iranian oil and gas, and maintained trade ties even as international sanctions were imposed on Tehran over its nuclear programme between 2012 and 2016. Currently, both the countries are negotiating on Farzad-B gas and oil fields in south Iran, which India has expressed interest in.